Be the first to share your favorite memory, photo or story of Gretchen. This memorial page is dedicated for family, friends and future generations to celebrate the life of their loved one. Cherokee Village- Gretchen Firment, 81, passed away on April 10, 2019 at St. Anthony Hospital in Lakewood, Colorado. Gretchen was born on June 22, 1937 in Pocahontas, AR to Tony and Pauline Nuce Schmidt. She was preceded in death by her parents; husband John Andrew Firment; 2 brothers, Albert and John Schmidt; and a sister, Mary Elizabeth. She is survived by 2 sons, John Firment, Jr., Dr. Christopher Firment; daughter, Julie Carlson; grandchildren, Tony, Haley, and Tyler Firment, Gage and Pike Carlson; siblings, Curtis Schmidt, Catherine Clark, Trudy Ryles and Frank Schmidt. Visitation will be Tuesday, April 16, 2019 from 5-7 pm with a Rosary beginning at 7 pm at McNabb Funeral Home. 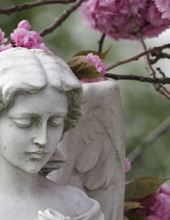 Another Rosary on Wednesday, April 17, 2019 at St. Michael Church, Cherokee Village will begin at 10:30 am with a funeral mass following at 11 am with Father Amal Punganoor officiating. Cremation will follow when services are complete. In lieu of flowers, donations may be made in her honor to St. Michael Church, 49 Tekakwitha Dr., Cherokee Village, AR 72529. "Email Address" would like to share the life celebration of Gretchen Firment - McNabb Funeral Home. Click on the "link" to go to share a favorite memory or leave a condolence message for the family.